Through its robustness and its countless colour variations, it is used and appreciated by mountain bikers worldwide from Bikepark riders to Duncan Shaw on the Drop and Roll Trials Tour. If you look around at your next visit to a European bike park you will certainly discover some ESCAPE pedals! Our in house name for the Escape is "THE Bike Park Pedal" because it is almost impossible to crack the body of the pedal. We often get pedals for service on bearings and axle, where you can see the abuse over the years. 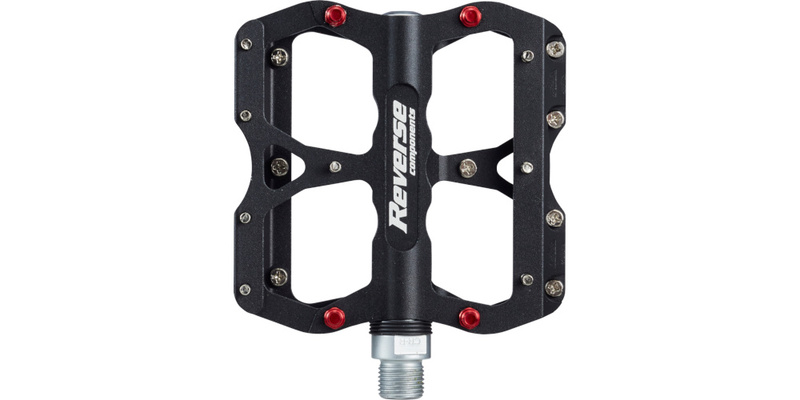 Despite countless contacts with stones and roots, the ESCAPE pedal remains sturdy and riders have had years of use of out pairs of these pedals. 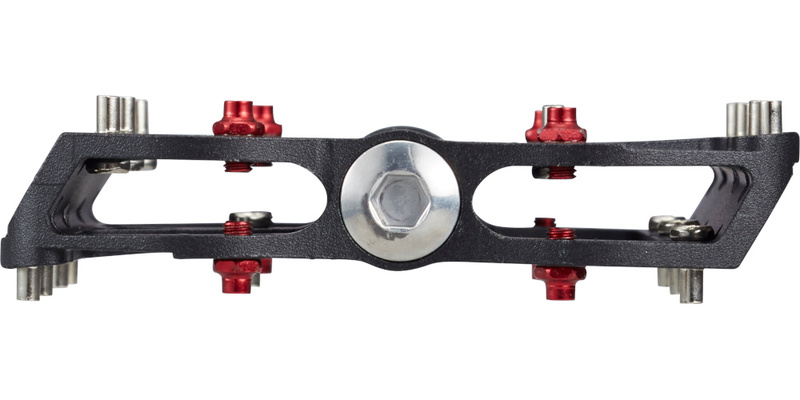 The combination of steel and aluminium pins, spread over a generous 10cm by 10cm pedal body, provides an incredibly good grip, as well as a safe stand on the pedal! Because this fact is just as important as the traction between the wheels and the ground. 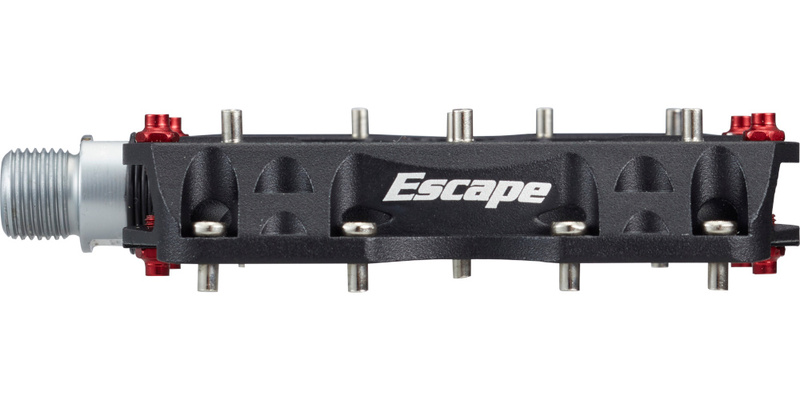 Replaceable pins, the anti-rotate function” which prevents the pedal from spinning, if you have to get your foot off the pedal in tight switchback manoeuvres, the very fair price-performance ratio and not least huge colour variations contribute to the success of the ESCAPE pedal. - Pedal thread: 9/16 "